Drawn this morning in between emails and phone calls. hulk my favorite....me am happy.....me love chrust sammeee! 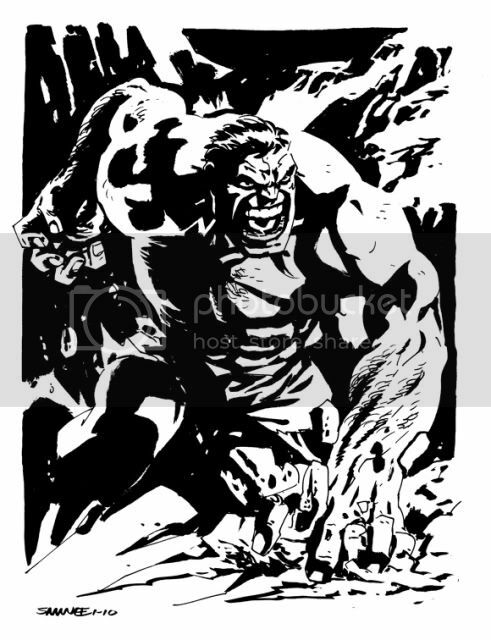 Once again, you've managed to channel all of Hulk's primal ferocity and strength into a single iconic image. In my opinion, you and David Williams are the best among contemporary artists when it comes to balancing all of the visual elements of Hulk's face, posture, and proportionality. Great, great stuff, Chris! I love the balance of this piece. Fantastic stuff, Chris! Whoa! You've raised your own bar again! The ferocity and primal energy leaps off the page. Great job Chris. yum! :9 its primal & visceral! luv it! Andy, this ams one of me favorite comments! ME LOVE KUHN! !